For the past month Maura Dwyer, an interdisciplinary artist from Baltimore, has been working with the young women at the Thomas JS Waxter Children's Center in Laurel, MD on a 6'x16' mural located in the facility's hair care room. 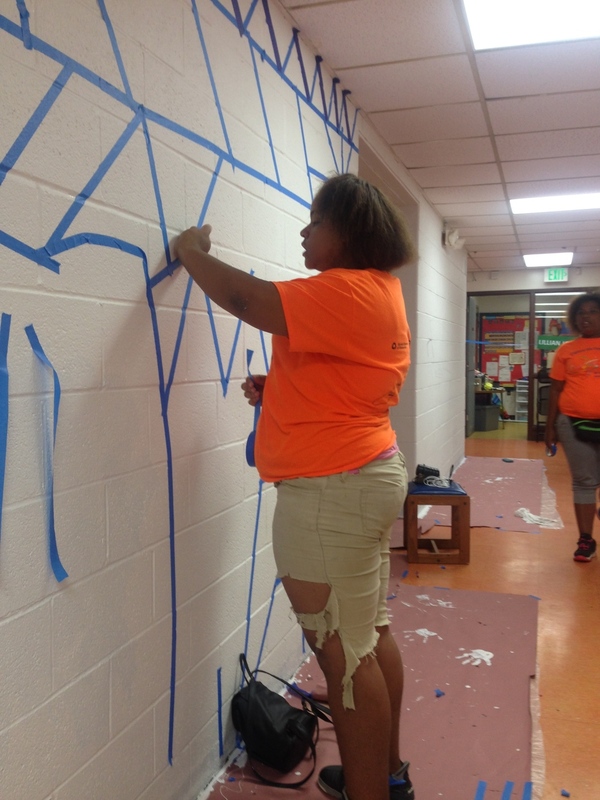 Participants have been working hard on designing the mural and have just begun sketching it out. 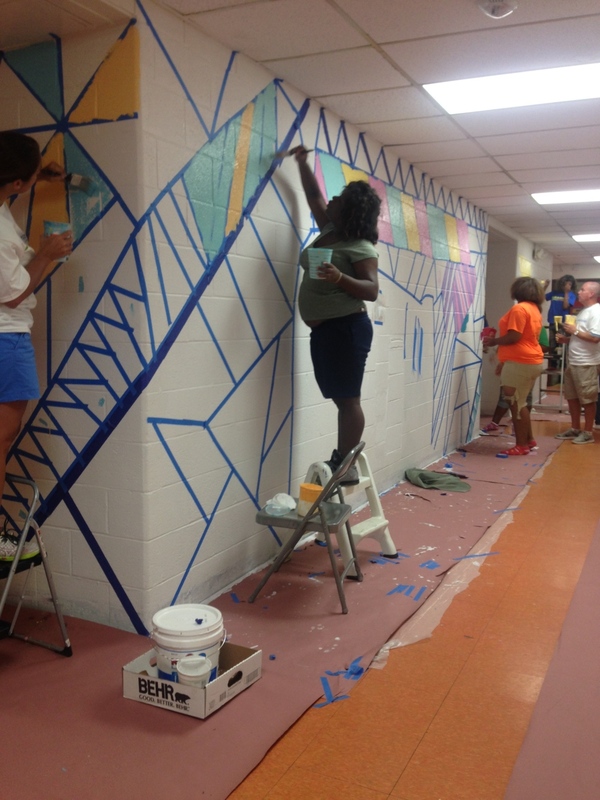 Next week they will start painting so make sure you check back to see the progress! BYA Community Studio Opening - Volunteers Needed! In late March, we will be opening the BYA Community Studio! We are beyond excited because we will be able to reconnect with participants from the facilities we work in. We are currently reaching out to volunteers to help get the space set up and running. Baltimore Youth Arts is hiring for a VISUAL ARTS instructor to facilitate an 8 week program at the Alfred D Noyes Children's Center in Rockville, MD. Classes will take place on Fridays from 5pm-7pm starting on March 5. The Alfred D. Noyes Children's Center is a co-ed facility that houses detained young men and woman. + Patience, flexibility, humor and compassion! **All BYA staff, instructors and volunteers must be willing to have a criminal background check performed before engaging with youth. To apply, please send a resume and work samples to Program Director, Gianna Rodriguez, at gianna@bmoreyoutharts.org. 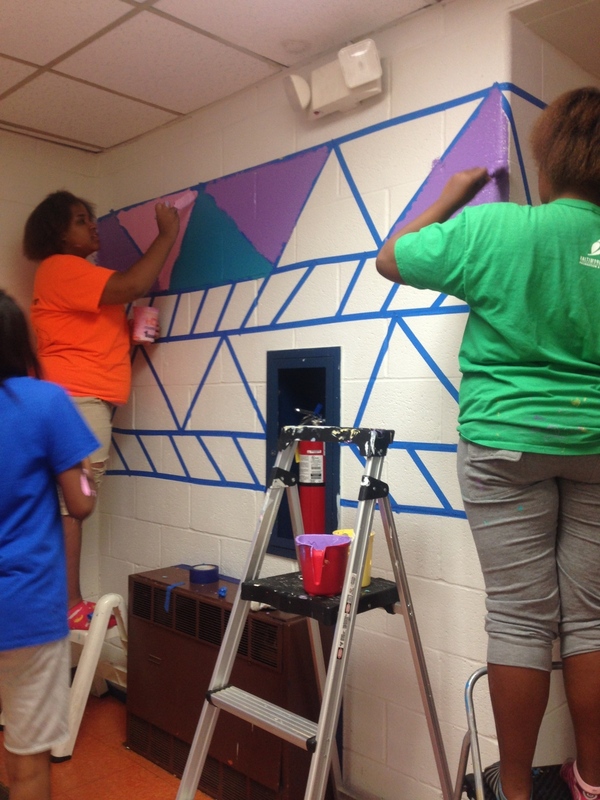 For the past three weeks 5 young women at the Lillian S. Jones Recreation Center have been designing a mural to cover an entire side of the building's hallway. 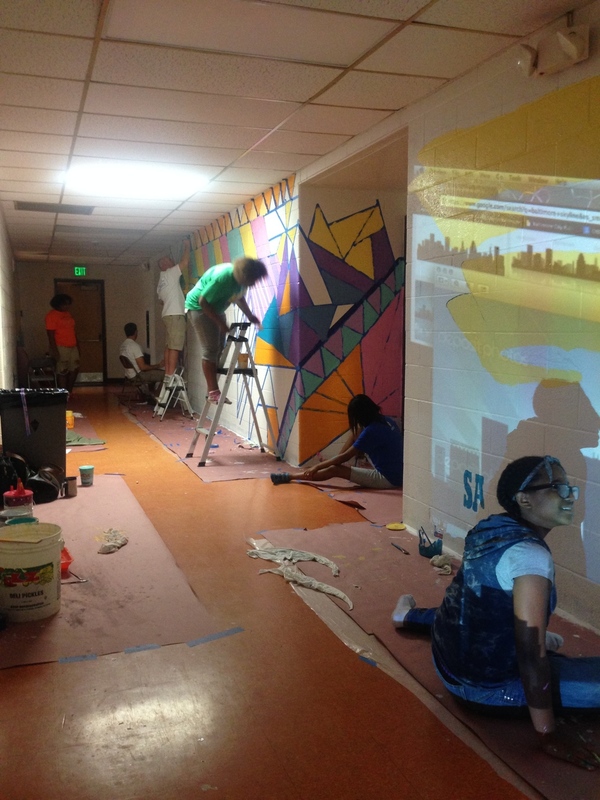 On Thursday they, along with other youth, volunteers from Constellation Energy, and folks from the Department of Parks and Recreation made their design come to life. These young women not only designed a gorgeous mural, but showed their leadership skills on painting day by directing the rest of the painting crew. All of the work below was done in less than 7 hours! 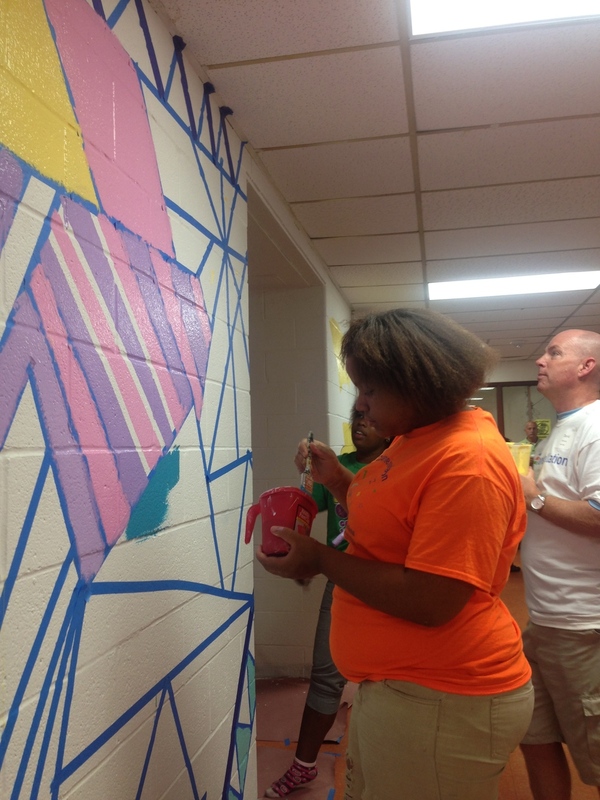 We have one more painting day to complete the last section so make sure you check back to see the final piece. 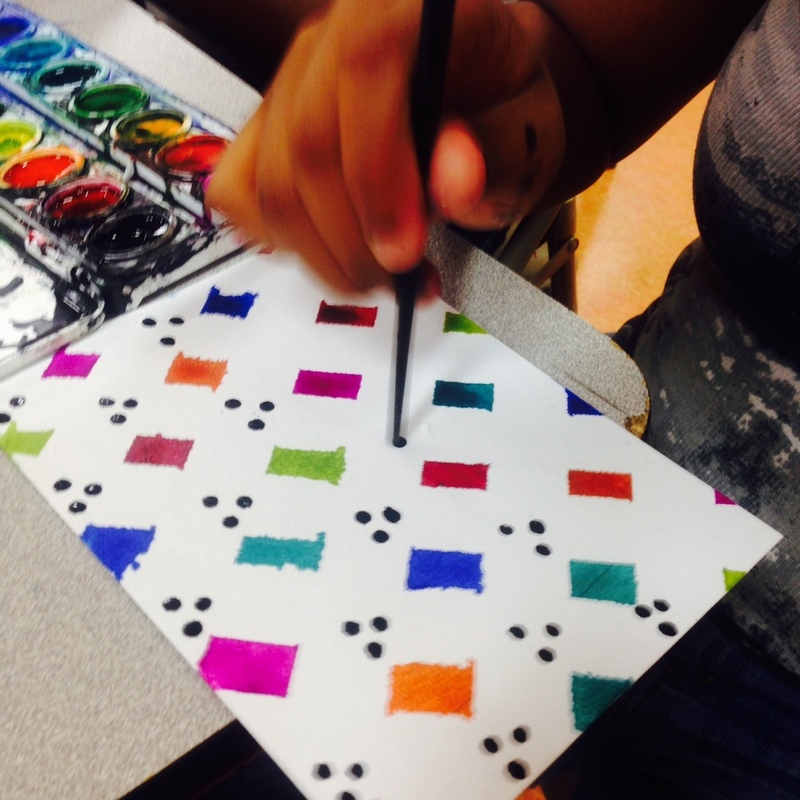 The Ladies at Lillian Jones Get their Patterns On! 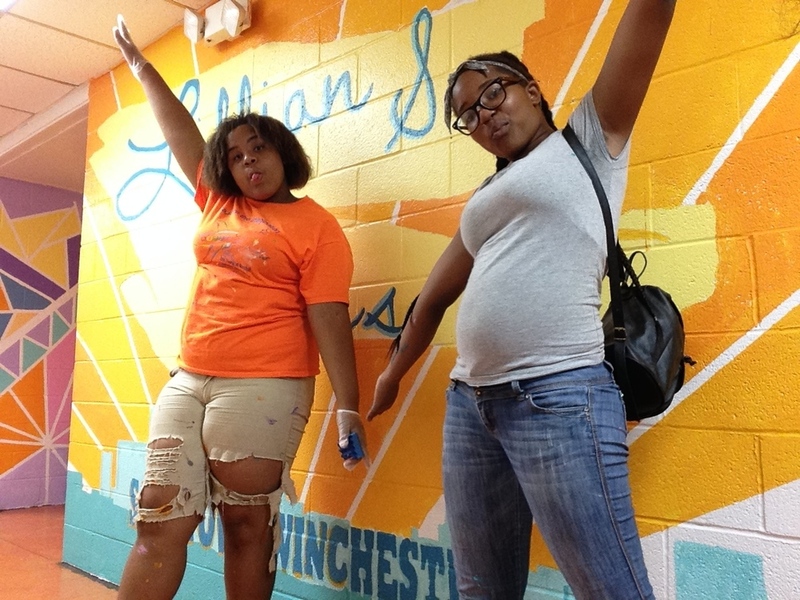 Last week the ladies at Lillian Jones Rec. 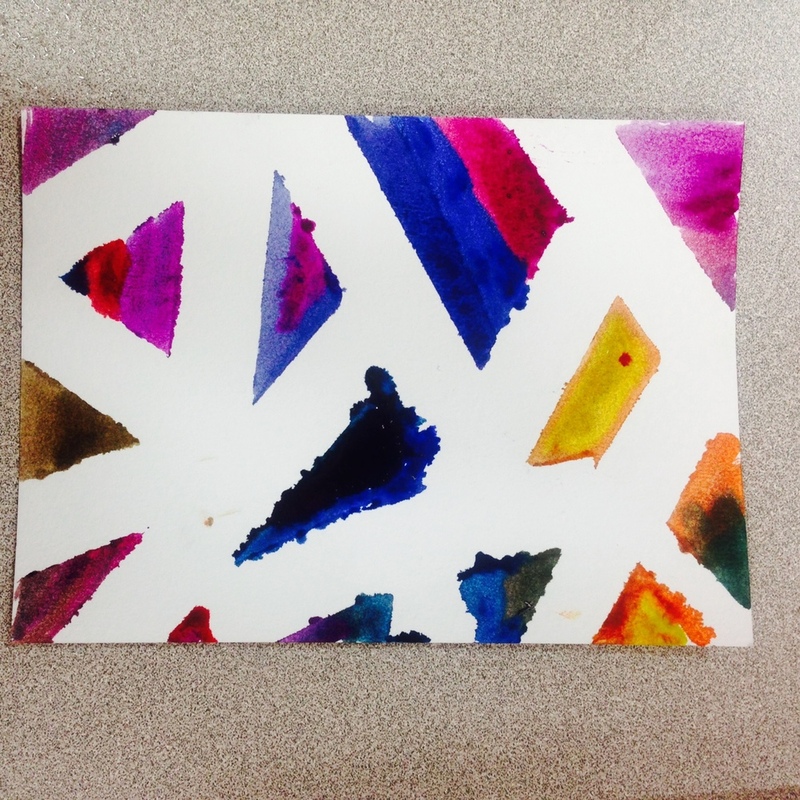 Center experimented with patterns using tape, watercolors, pencils and markers. The results were awesome! They are going to use these patterns to begin designing a mural that will be painted in the center at the end of August. Check back to see more of their brilliance! Today, Gianna Rodriguez and Dave Eassa, in Partnership with Baltimore's American Friends Service Committee, received the Mayor's Individual Artist Award. This money will support programming in adult and juvenile correctional institutions in Baltimore City and surrounding areas as well as arts programming in partnership with AFSC's Friend of a Friend program in Gilmor Homes and the Lillian Jones Recreation Center. BYA Founder, Gianna Rodriguez, and Dave Eassa, founder of Free Space, recently received the Grit Fund from the Contemporary to continue to provide arts programming to folks in local juvenile and adult correctional institutions!